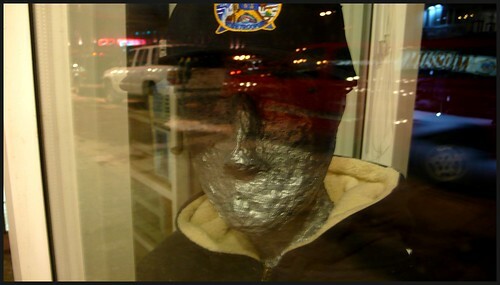 A ruddy complexioned mannequin keeps a vigilant eye on 5th Ave., Anchorage. 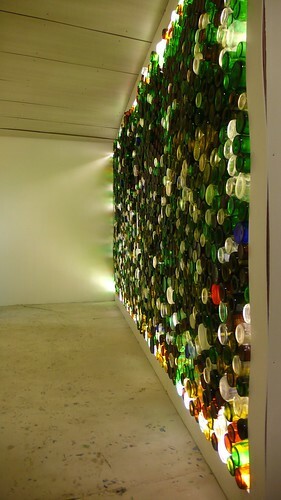 A wall of empty liquor bottles, constructed by local designers and architects. 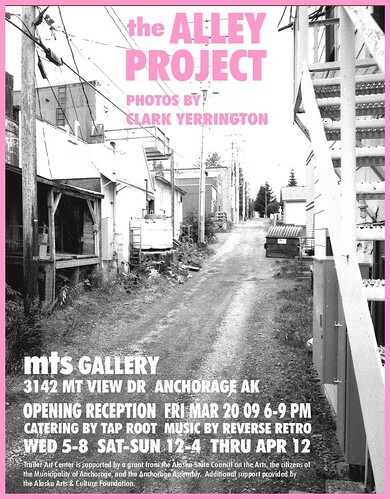 A comment on the end of glass recycling in Anchorage. At International Gallery.